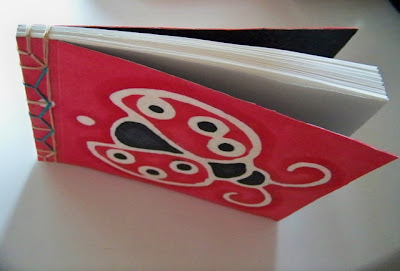 Duane, of Surfbunny.etsy.com, sent us this 'Ladybug Ladybug' notebook for the book swap. It is bound with a Japanese stab binding, using the hemp leaf variation as described by Kojiro Ikegami. 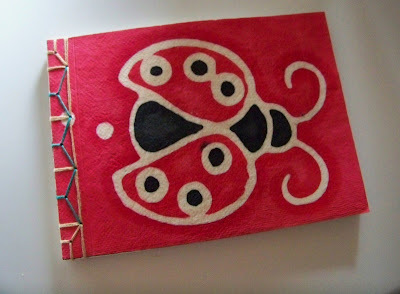 The cover is a sandwich of Thai batik, Tyvek, and silk endpapers. The textblock is 50lb sketch paper. Check out Surfbunny on Etsy to see more of Duane's books. See all the books from Book Swap #9.